Disclosure: This post contains affiliate links, which means I may receive a percentage if you make a purchase using these links. I only link to things I like and use. This pattern is a cinch to cut out, though, since it's all straight lines. 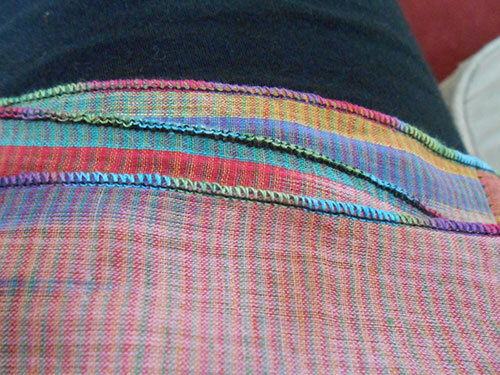 I added an elastic waistband instead of the drawstring waist that the pattern called for--I just like elastic waistbands better. 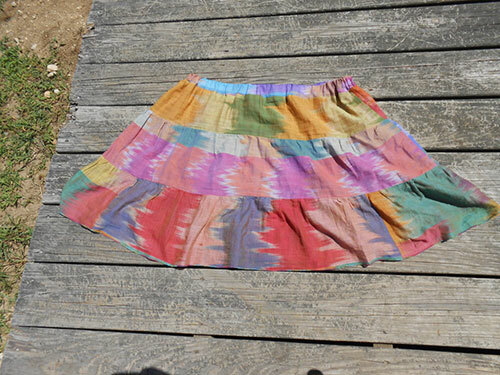 I used the waistband from Simplicity 1110 , which is a similar skirt, but with more layers. 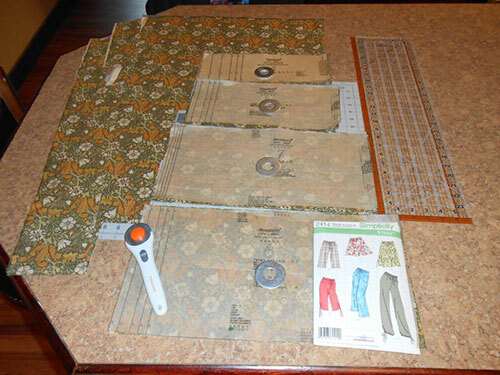 I didn't make any of the pants/shorts included with this pattern, but even the longest pants only take 2 3/4 yard for the largest size. They also look easy and quick to make. 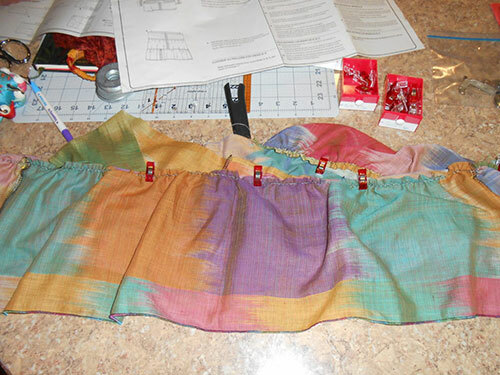 I made two of the longer skirt (view D), and it took me about two hours per skirt, but I think it is doable in an hour. In terms of sewing, it's all straight lines and gathering, nothing tricky. I serged all of my seams, so that added a bit of time. If you take the time to evenly space your gathered layers, that also takes a bit of extra time. I like using quilt clips to hold my layers together rather than pins, and I used the zigzag dental floss method for gathering. Then you can serge or "serge" over the extra fabric and gathering stitches. 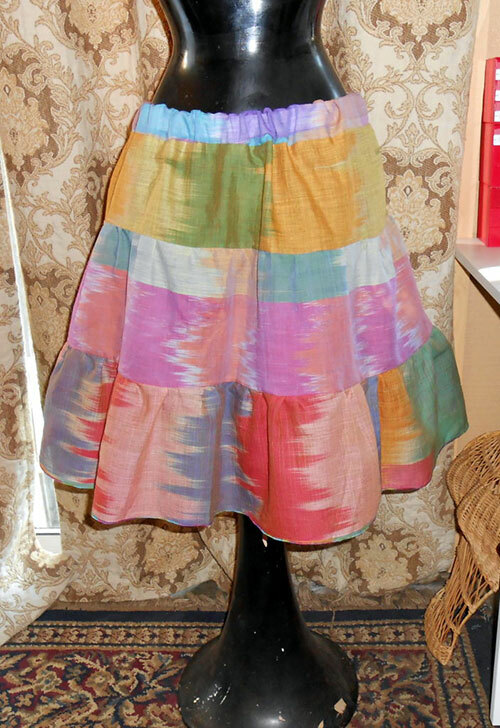 I used my serger to create a rolled hem on the bottom of the skirt with Maxi-lock Swirl variegated serger thread. I really like how this turned out. I bought two yards and had plenty left over, so even if you make a mistake, you should have plenty of fabric to cut an extra piece or two. 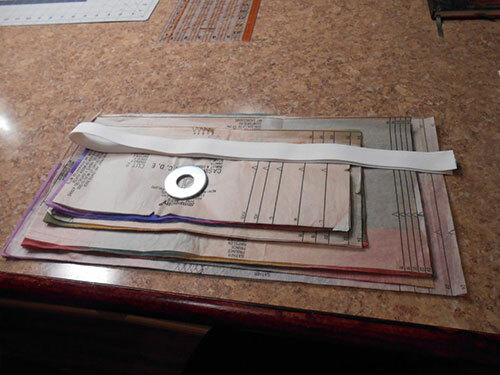 Here's how it looks after sewing each layer together and gathering the bottom two layers. 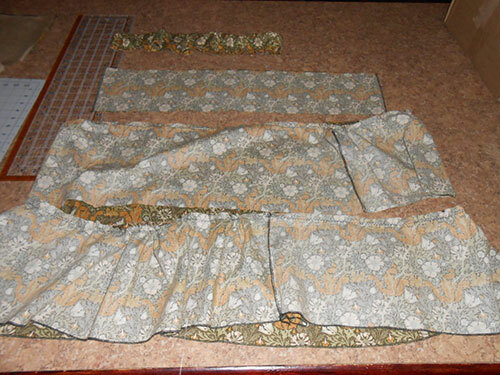 This is where I was after an hour of sewing, so you could easily make the shorter skirt (view E) in an hour.